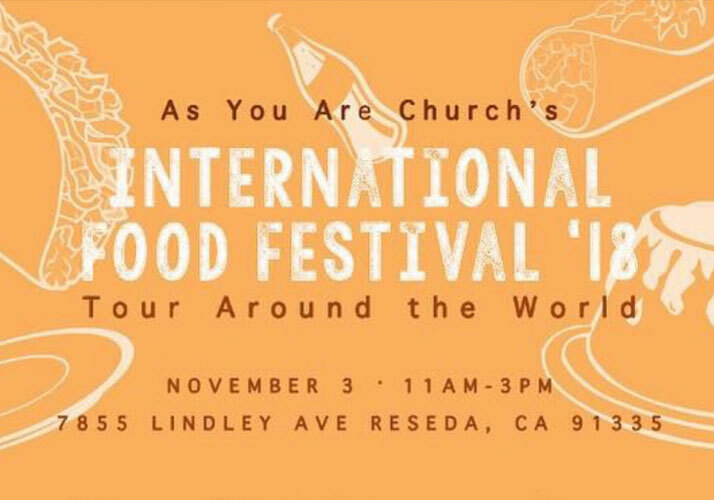 The 2018 International Food Festival is Here! Every year we celebrate the diversity of God’s people and our unification and Love for Jesus Christ! Join us for a fun filled day full of fabulous food from around the World. This promises to be better than every to please arrive on time. Of course. as always, this event is completely free to the public! If you are interested in volunteering, hosting a booth or performing, please contact Eileen Quimpo at esquimpo@gmail.com or call at (818) 535-5115.